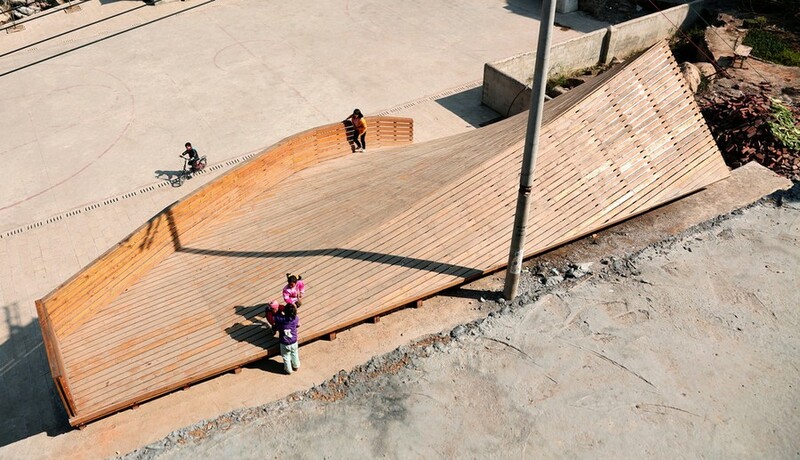 The Pinch is a library and community center in Shuanghe Village, Yunnan Province, China. The project is part of a government led reconstruction effort after an earthquake in September 2012. The majority of village houses were destroyed, leaving the residents living in tents for up to one year. After the earthquake the government has sponsored new concrete and brick houses and a large central plaza. During the first site visit, the houses remained incomplete and the plaza was a large empty site. The University of Hong Kong decided to sponsor the design and implementation of a new library building. Located in the new but empty public plaza, it would serve to activate the community and provide a physical memorial for the event. The site of the library is against a 4 meter high retaining wall. The design spans across this level difference and acts as a bridge between the rebuilt village and the new memorial plaza. Emphasizing its location in a remote mountain valley, the design responds visually to the space of the valley, offering stunning views across a dramatic double curved roof. 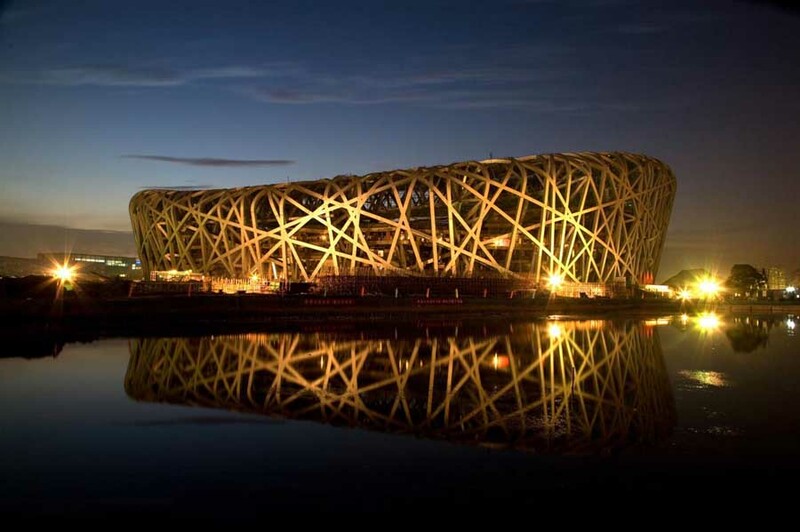 The structure itself rises to a peak, a monument to the earthquake and rebuilding effort. As a Knowledge Exchange Project, the construction involves collaboration with a local timber manufacturing factory. The process resulted in the development of a surprisingly diverse form through simple means. A series of trusses is anchored between the upper road level and lower plaza level. The form of each truss changes to create both a gradual incline (to bring people down) and then a sharp upward pitch (to elevate the roof). The trusses were covered in an aluminium waterproofing layer and timber decking. On the interior, the trusses extend downward to support a floating bookshelf. Simple traditional school benches are used as chairs. The polycarbonate doors can open to create a completely open space extending out to the plaza. Rather than submitting to the abandonment of wood construction (as with the houses after the earthquake), the project reasserts the ability to build contemporary timber structures in remote areas of China.